Most children have 20 primary teeth, but a small percentage grow supernumerary or extra teeth as well. Dr. Steven Horne reports in an article on Medicine Net that hyperdontia affects between one and four percent of the population with most cases involving only one extra tooth. You may not even realize the extra tooth exists; very often, your child's dentist makes the discovery. 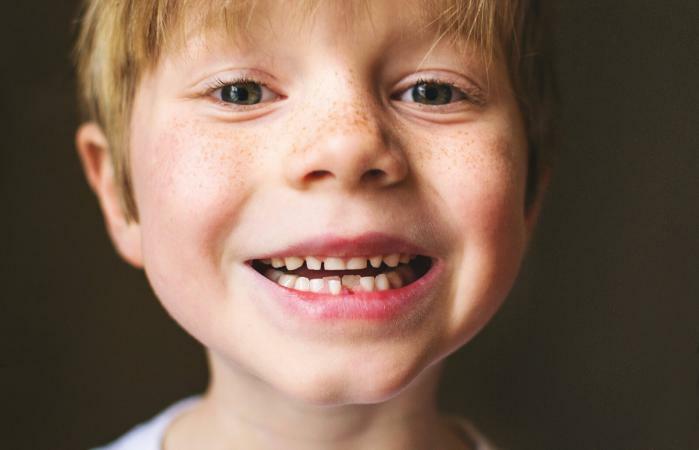 Boys are twice as likely to have supernumerary teeth than girls. It is more common to have upper supernumerary teeth than lower. About one-third of those who have one extra tooth, actually have additional teeth as well. A report published in the Journal of Conservative Dentistry indicates that, in general, supernumerary teeth are linked to diseases or syndromes. These include Gardner syndrome, Ehler-Danlos syndrome, Fabry Anderson's syndrome, as well as cleft lip or palate. Dr. Milan Khakhria of Jacaranda Smiles in Florida, agrees that hyperdontia is often due to a genetic abnormality; however, he sometimes sees kids with extra teeth who have no obvious genetic syndrome. This theory believes that during early tooth development, dental lamina becomes divided and forms two teeth instead of one. Dental lamina should experience cell death after the crown of a permanent tooth is formed. If this cell death doesn't occur adequately, it's believed that the excess dental lamina cells may cause supernumerary teeth. 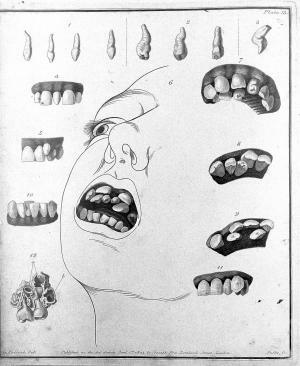 Another popular theory is that environmental factors may cause hyperdontia. However, these factors have not been identified and more research is needed. In some cases, no obvious reason is found for the condition. Grow between the two front top teeth (upper central incisors) and is typically malformed and shaped like a peg. An extra front tooth such as this is the most common. Grow next to the molars and while it is considered an additional molar, it is undeveloped in appearance. Grow behind the third molar. This extra molar is rare. Left untreated, extra teeth can cause potentially serious issues, including crowding. "They take up space in the jaw," says Dr. Khakhria. "So they begin to cause crowding and, in some cases, create situations where the other "normal" teeth may be pushed into a position that is detrimental to their longevity, resulting in either caries or gum/periodontal damage." Dr. Khakhria says that in other situations, extra teeth may remain stuck in the bone beneath normal teeth, potentially causing root damage. An extra tooth might also slow the eruption of surrounding teeth or cause cysts. According to Dr. Khakhria, in most cases, the extra teeth are removed. Because each case is unique, it must be assessed on an individual basis. "In some cases, you may have an extra tooth in an area where the "normal " tooth was congenitally missing. So now we have to be imaginative and try to use the extra tooth." What does Dr. Khakhria advise you to you do if you find an extra tooth or two in your child's mouth? "Take the child to the orthodontist," he says. "They are the best trained doctors to prepare a plan of action for you. Remember, an orthodontist spends their time constantly solving the puzzle of the teeth, bite and smile." He also reminds parents that they do not need a referral to consult with an orthodontist. The earlier any problems can be identified and treated, the better chance you have to avoid potentially painful and costly complications.